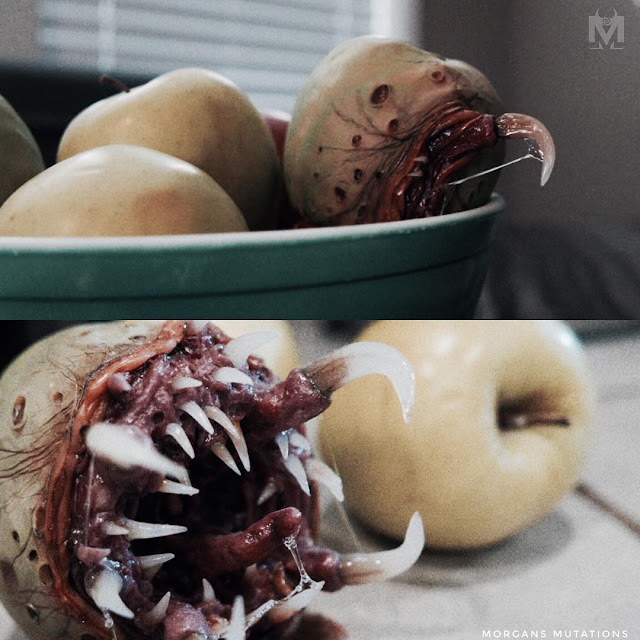 Sometimes the fruit eats you! Morgan Loebel brings us this cleverly camouflaged specimen of fruit mimic. It really is amazing how good LARP costuming has become, fueled in part by advances in technology over the last decade. 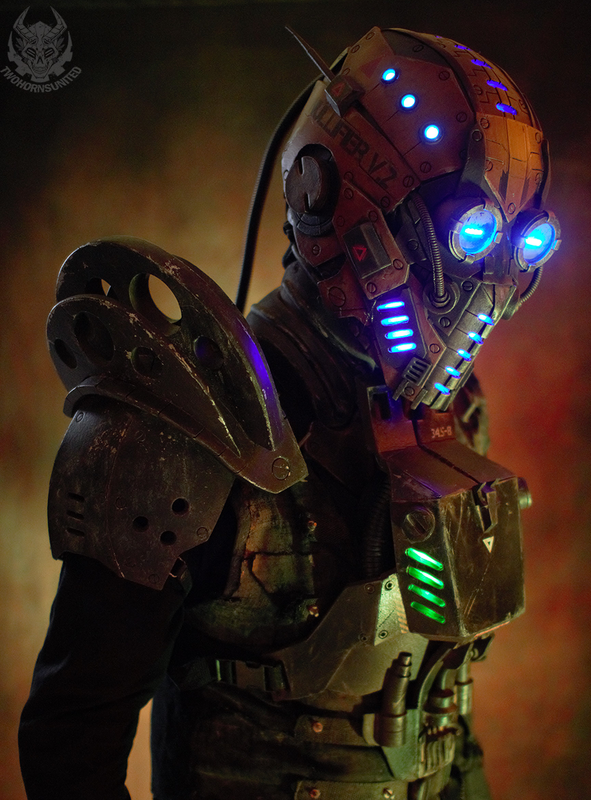 This gorgeous robotic costume, The Nullifier, comes to us from Two Horns United. When the apocalypse comes there will be a notable lack of professional dry cleaning and drop off laundry services. Vulture Productions brings us this detailed sartorial tutorial on creating that grungy, end of the world look. 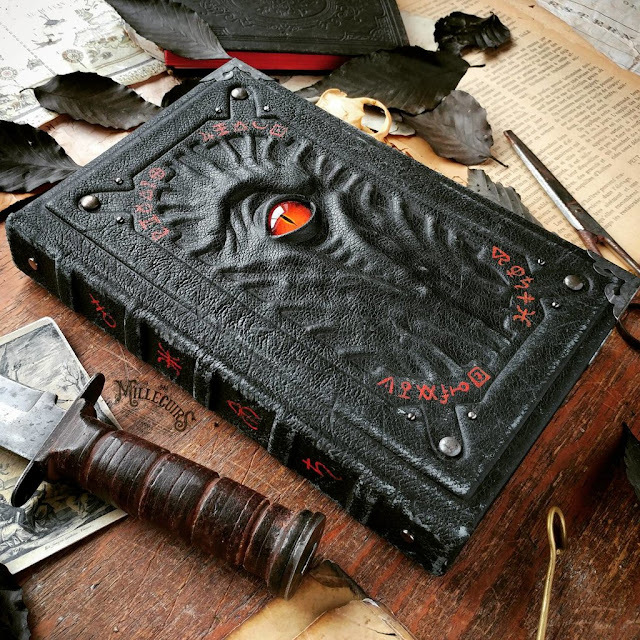 Mille Cuirs returns to our pages with another beautiful hand-crafted tome. This time it's the Alchemist's Black Grimoire, featuring a tooled leather cover with inset glass eye. 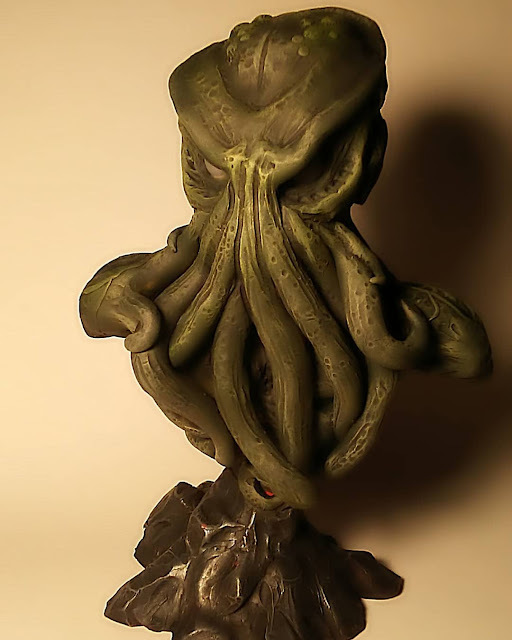 This take on the traditional Cthulhu idol comes to us from Spanish artist Pol WarNerve. 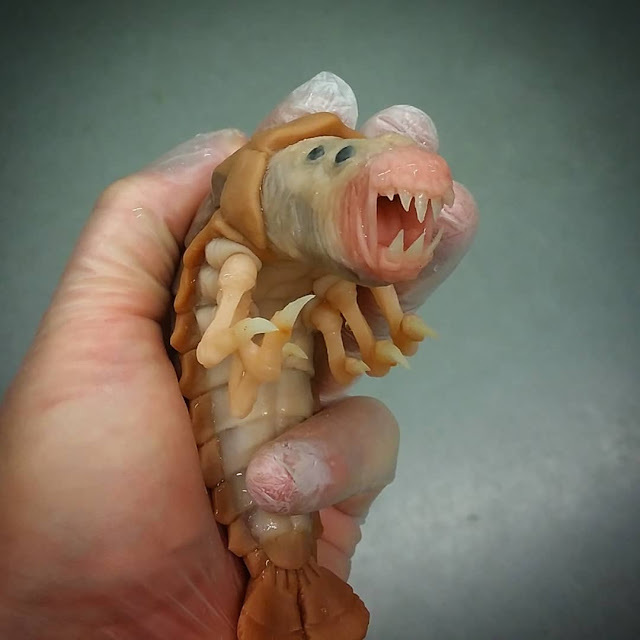 This goggle-eyed worm creature comes to us from The Monster Sandbox. The skin texture is awesome. 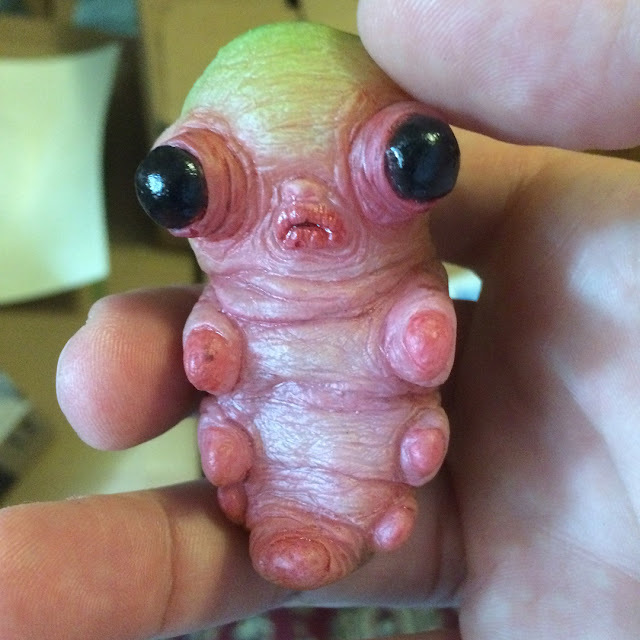 Artist Joen Bager returns to our pages with this icky mantis-thing. I really like how the creature's coloration was done using blends of different polymer clays. 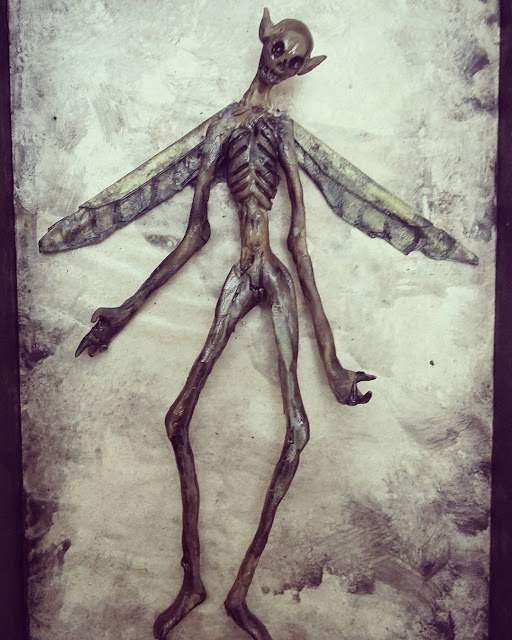 This mummified fairy specimen comes to us from Mexican artist Umbratheca. 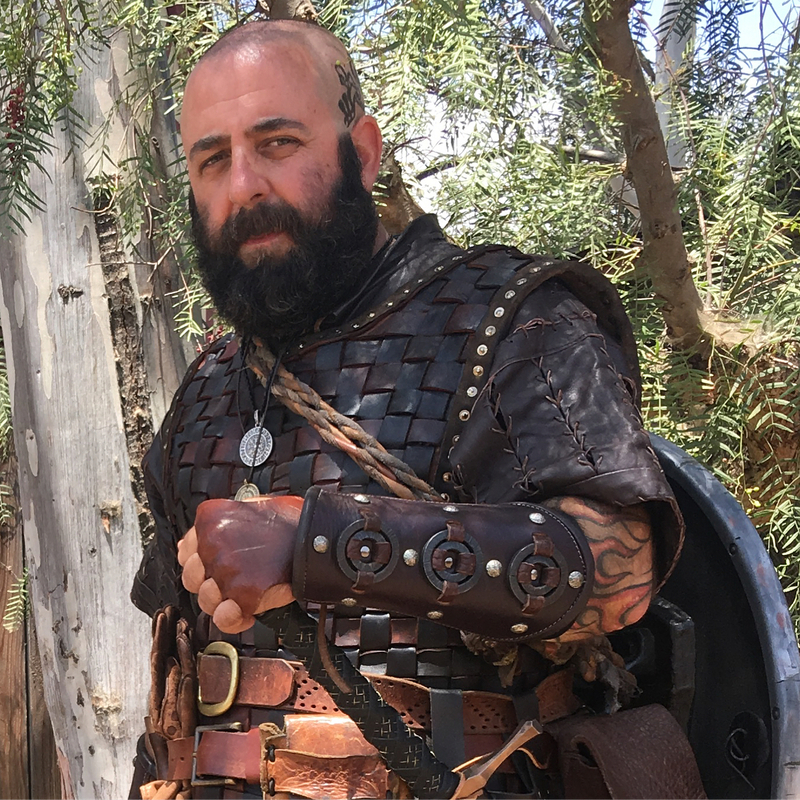 Pete Asmar achieves that rarest of goals- having a LARP costume that perfectly complements his appearance and body type. I'd love to be able to play a noble elven king. Sadly, nature has decided I'm far more qualified to portray a misshapen troll. Heh. 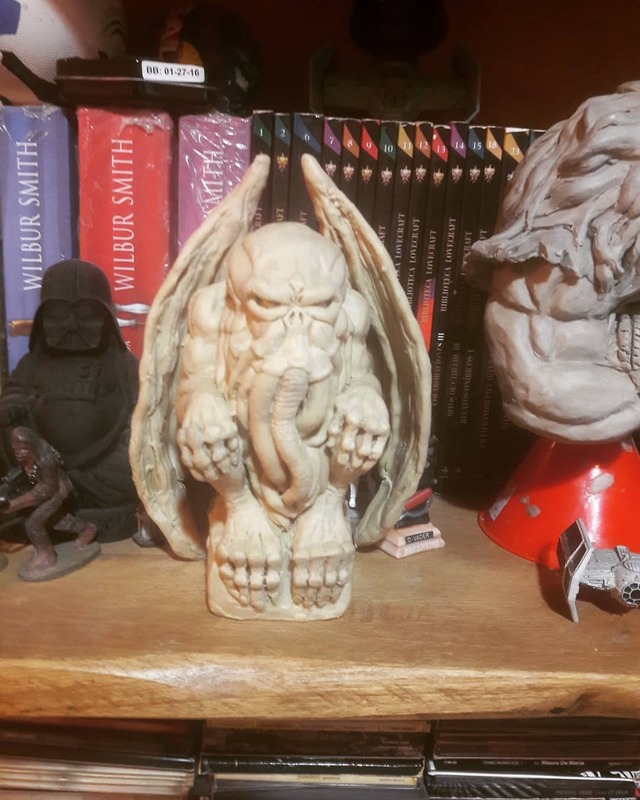 This sculpt of Great Cthulhu comes to us from artist Thomas Day. 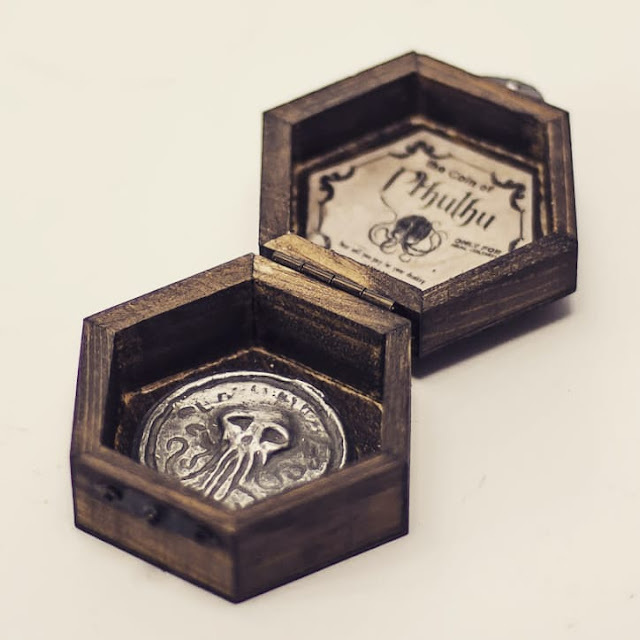 Andrea Falaschi returns to our pages with this nicely done cast Cthulhu coin. Makeup artist Kelton Ching created these denizens of "The Sinking City", the upcoming Lovecraft-inspired open world game from Frogwares. To absolutely no one's surprise the titular city seems to have an awful lot in common with Innsmouth. You can find more information about the game over here. 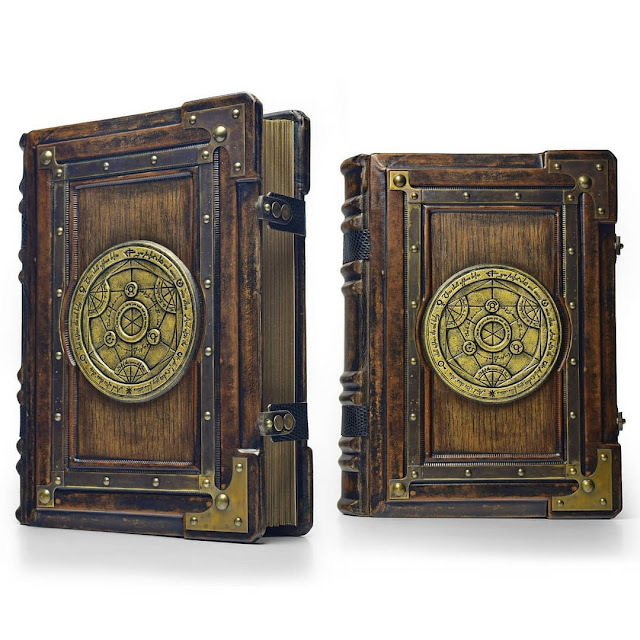 The gifted Alex Libris returns to our pages with this fantastic alchemy grimoire. 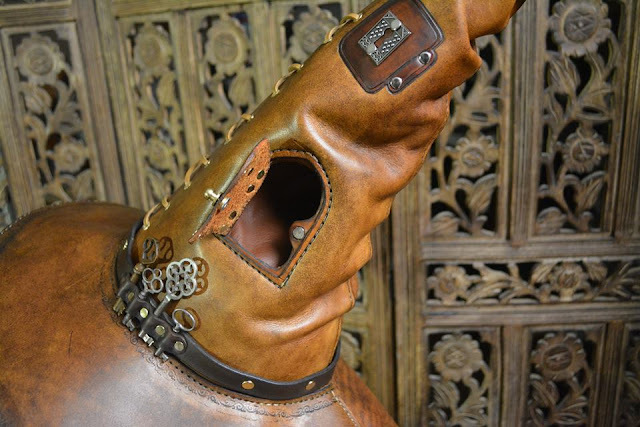 Featuring a hand tooled leather cover with oak inset and custom brass hardware. 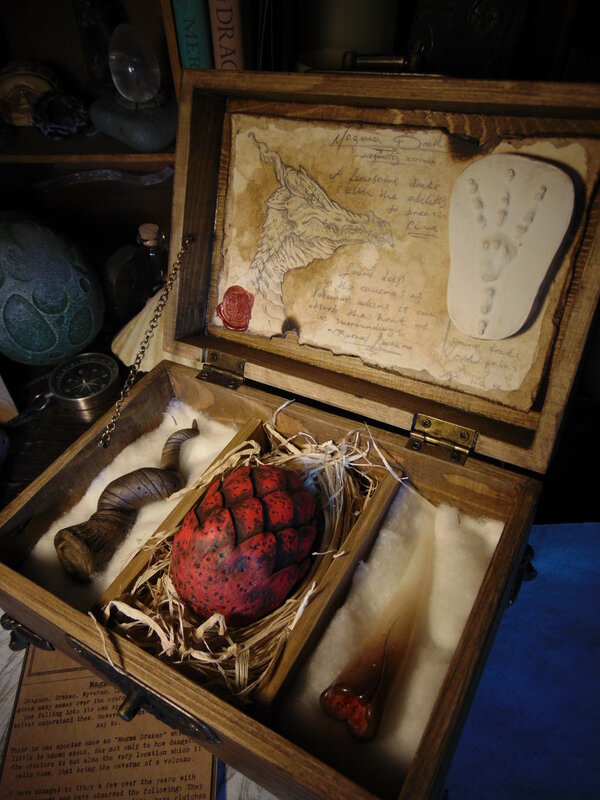 This nicely done "Magma Drake Specimen Box", featuring a plaster claw casting, tooth, horn, and egg, comes to us from Burned Raven Tales. Victor Marin of Invictus Designs brings us this beautifully done demogorgon embryo from "Stranger Things". Bethesda debuted Fallout 76 last night at E3. The good news is that they're going to be doing another prop-centric special edition, this time with a really fantastic T-51b power armor helmet, West-Tek gear bag, and some other cool goodies. 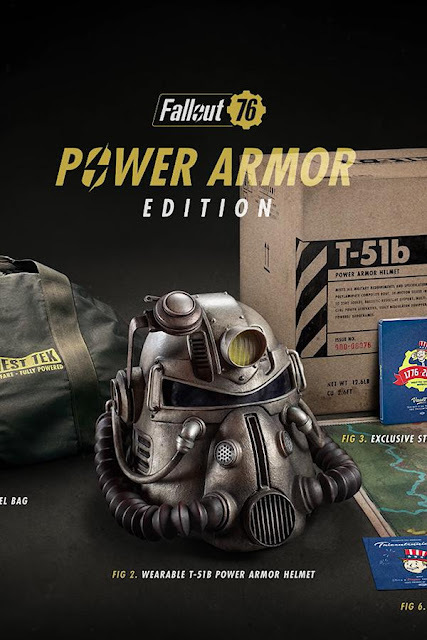 It's a great follow up to the Fallout 4 Pip-Boy Edition from 2015. 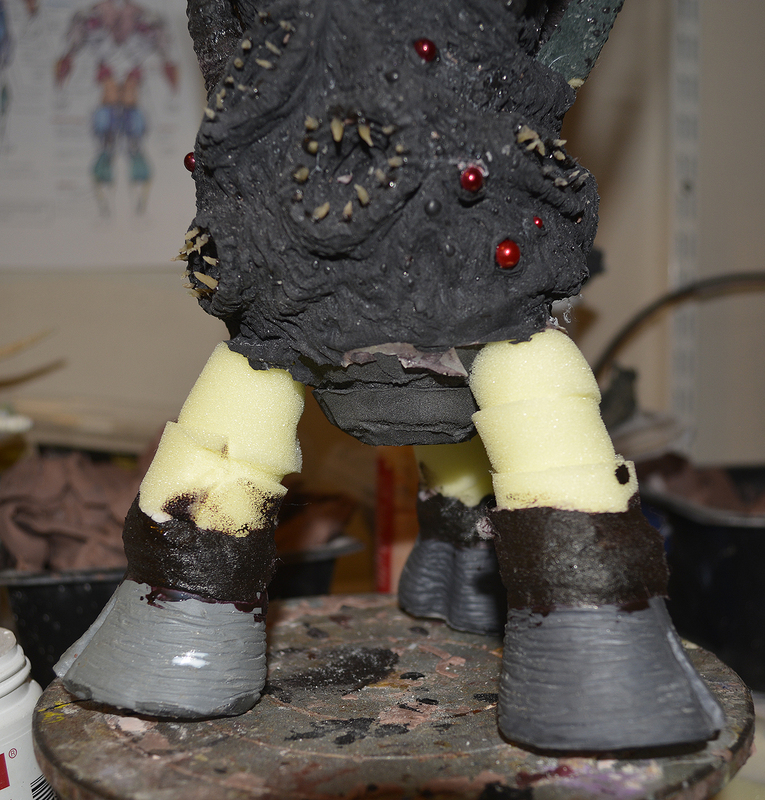 Hopefully we won't see the quality control issues that plagued that effort. The bad news is the game is an online only survival sim without any traditional quests or storyline. Oh, and it includes mandatory PvP. Bleh. Update: This. This so much. 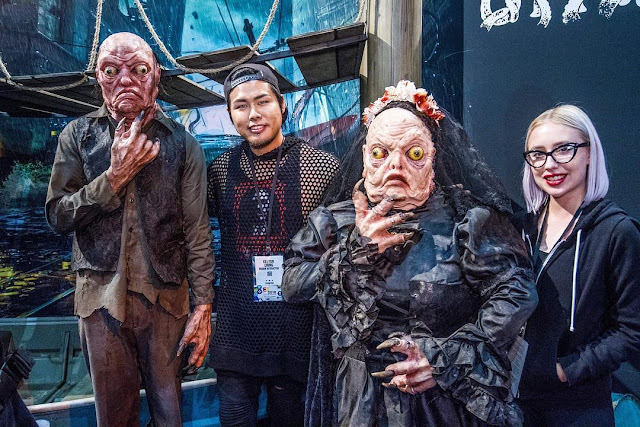 Ivan Naumenko of Masks Mastery reveals his ghoulification in preparation for Sunday's reveal of "Fallout 76" at E3. 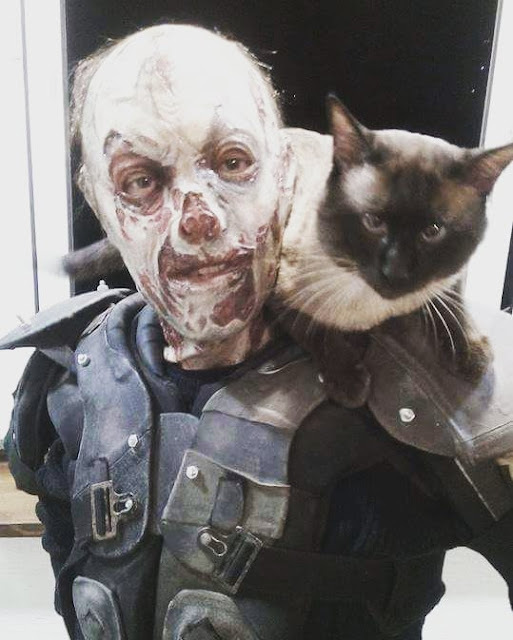 He nails the peeling skin and exposed nasal cavity of the FO4 incarnation. 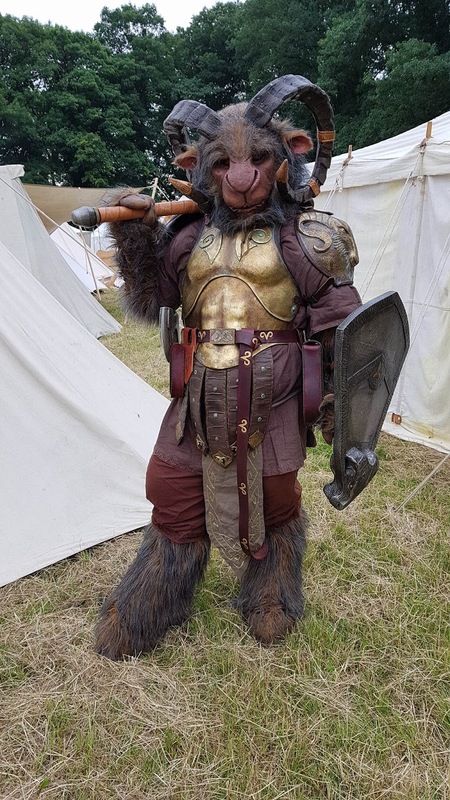 Paulo T. brings us an outstanding Goatman LARP costume. This is the kind of thing that could easily be ridiculous, but the excellent theming and craftsmanship really pulls it off. 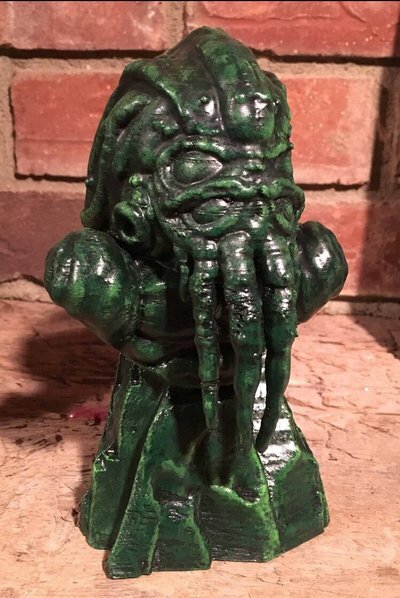 This 3D printed Cthulhu idol comes to us from Spellcaster29. I like the design, but the characteristic printing striations really detract from the overall effect. This is so...wrong. 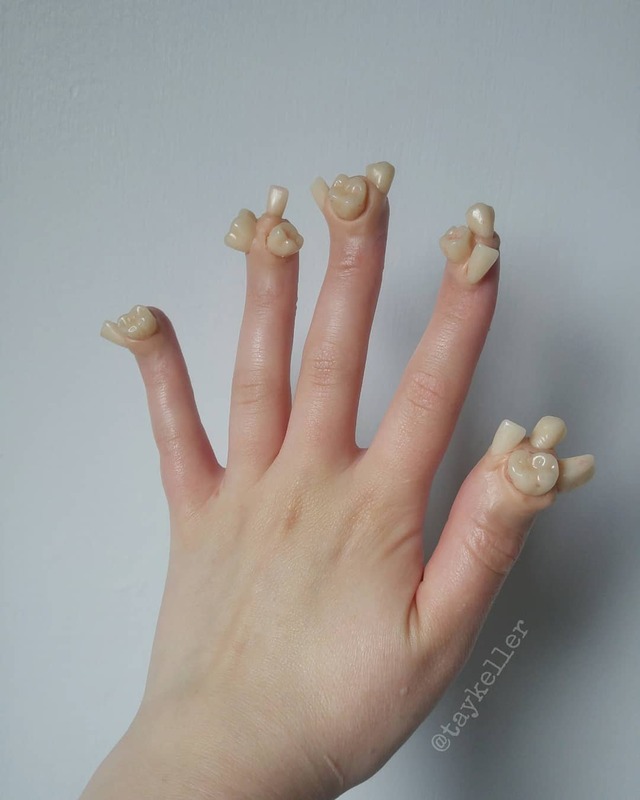 Artist Taylor Haze Keller brings us this creeptastic makeup effect, crafted from scar wax and acrylic teeth. Andy Fyfe of Savage Punk Studio brings us this Portamancer's Hat. 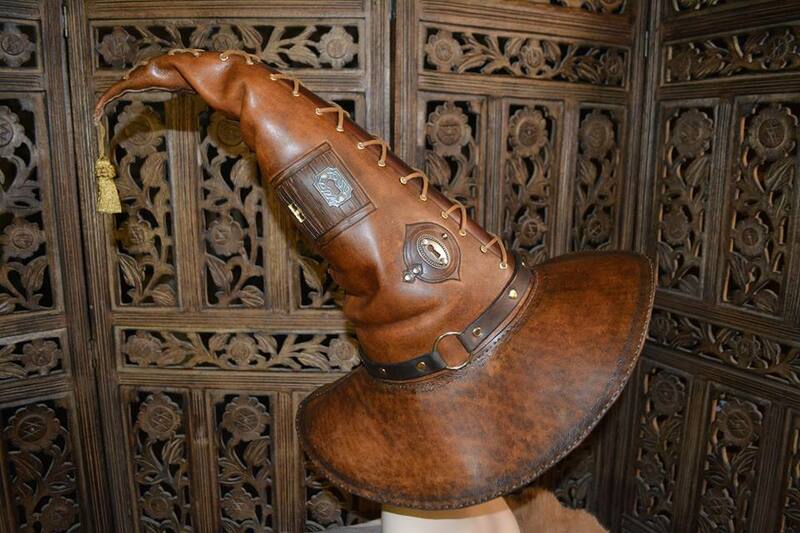 Just the thing for the wizard on the go. 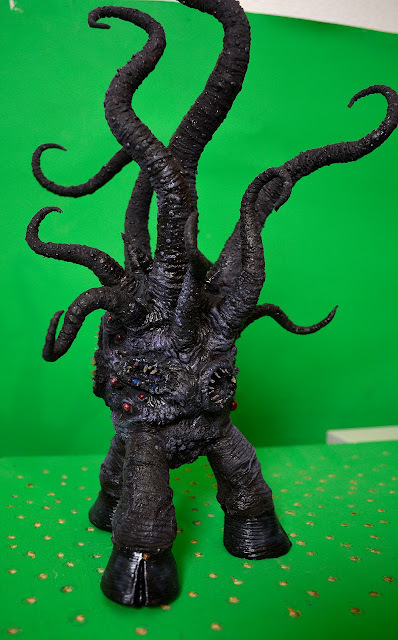 It's notoriously difficult to find one of the Dark Young of Shub-Niggurath when you need one, so Richard Svensson made his own. 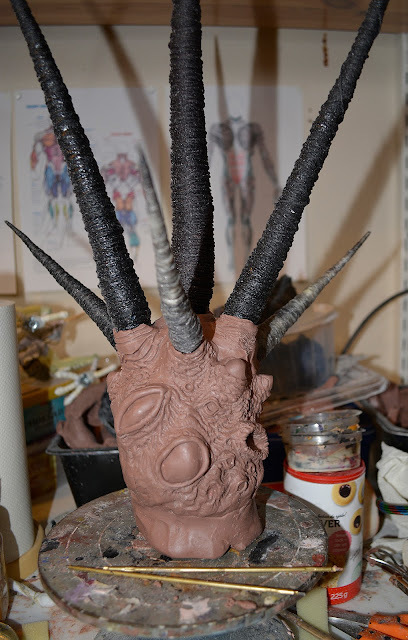 This detailed build log shows the creation of an articulated stop-motion puppet from the initial sculpt to finished figure. His technique for creating flexible tentacles is something I'm going to shamelessly steal. 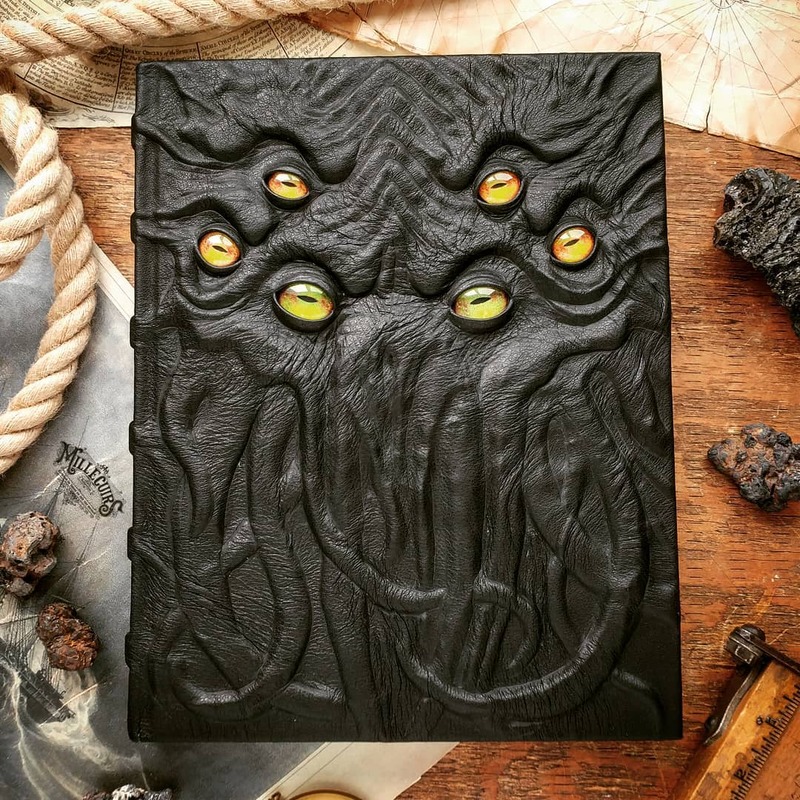 MilleCuirs brings us his latest custom tome- the Grand Grimoire of Cthulhu. Featuring a hand tooled leather cover with inset glass eyes.